29 Jul Learn to Row taster sessions this weekend! This Saturday 4th August and Sunday 5th August we are running taster sessions at 11.30am for adults. 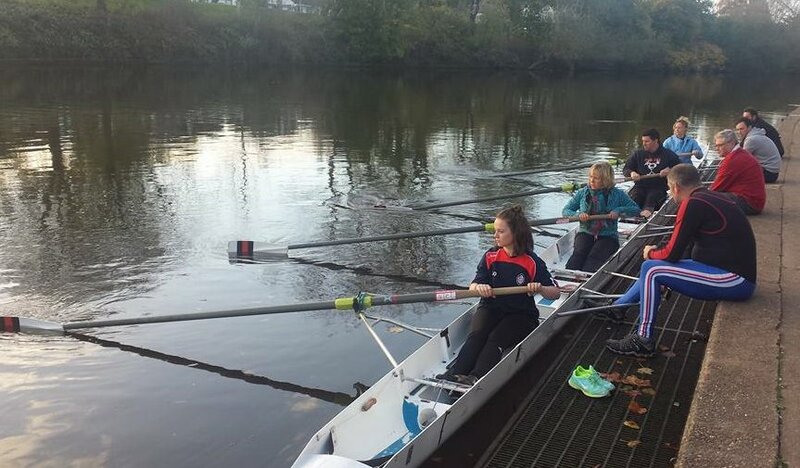 These taster session will be a brief introduction to the sport and enable you to get a feel for what the sport is all about; you will even get the chance to sit in a boat and get a feel for handling the oar in the correct way. Subject to river conditions we will aim to do a few minutes out on the river in small groups. If, after the session, you feel that rowing is for you you can sign up to our Learn to Row ‘GoRow’ course, which lasts for six weeks and starts on the 18th August. The sessions will start at 11.30am each Saturday for the six weeks and last for around one hour. At the end of the course we have a graduation ceremony which will consist of mixed fun races, a BBQ and drinks. Places on each GoRow course are, by their nature, limited. If you want to join a taster session please come down to the club, in sports kit, at 11am and speak to one of the coaches. It goes without saying that you need to be reasonably fit and able to swim!